Lovely story from the Holiday Sitters about their experience on the Kids and Pets Cruise from The Blue Boat Company. Gorgeous architecture. Inspiring perspective. Fascinating history. Cruising through Amsterdam’s famed canals is an absolute must to do for anyone visiting or living in the city, evidenced by the many boat operators in Amsterdam. 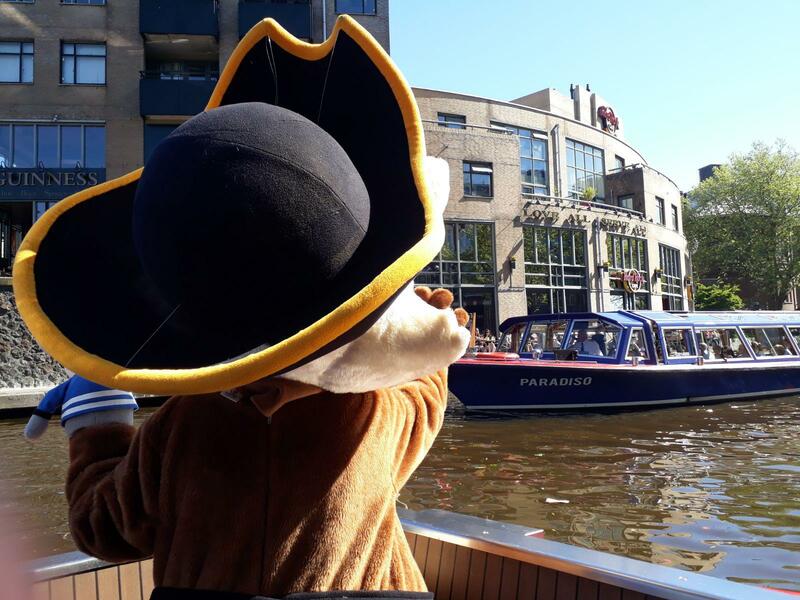 In our ongoing mission to help families have a memorable experience in Amsterdam, we recently stopped by Blue Boat Company, one of the oldest and biggest canal cruise providers in the city, to give their family boat tour a whirl. The company recently launched the first augmented reality canal cruise game, Pet Cruise, designed to engage and entertain younger passengers. We brought our kids on a recent voyage so they could properly test it out. The concept is simple. Prior to setting out on the boat ride, search for ‘Pet Cruise’ in the Apple Store or Google Play and download the app for free. Once installed, your kids will be all set to catch the Bluebees that show up on the phone screen whenever the boat passes by particular points. Once caught, each character shares a different fun fact about Amsterdam. The game is designed for the 75-minute cruise, but can be played on any of the tours offered by Blue Boat. Judging by the extreme focus on the game from the children, the Pet Cruise does a good job of holding kids’ attention and teaching them about the city in a fun way. Dylan, age 10, reports, “I give the app 5 stars because it was the most fun I’ve had on a boat”!